2013 marks 400 years since the first official diplomatic relations were established between Spain and Japan. To celebrate, both countries are staging a number of events over the coming year. The first of these was an inaugural gala, held in Madrid on 11th June, where Yamaha digital mixers were a highly appropriate choice. The Embassy Keicho was an official Japanese delegation which stopped in a number of European countries between 1613 and 1620. 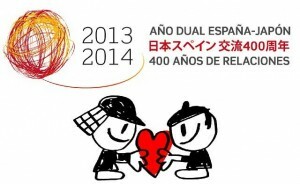 An important landmark in Hispano-Nippon relations, the quadricentennial celebrations include a range of cultural, political, economic and technical exchange events taking place in different parts of Japan and Spain. Featuring Yamaha CL5 and CL1 digital mixing consoles, together with two R-series i/o units, the inaugural gala was performed in the presence of His Imperial Highness Crown Prince Naruhito of Japan and Their Royal Highnesses the Prince and Princess of Asturias. Held at Madrid’s Teatro Real (Royal Theatre), it featured the first performance of a new work by Japanese composer and pianist Mine Kawakami, inspired by the Embassy Keicho. Featuring the 70-piece Barbieri Symphony Orchestra, a large cast of flamenco musicians and Royalty in the audience, nothing could be left to chance. The audio quality, reliability and high channel count of the CL5 was more than up to the task, with the CL1 handling monitors. A MacBook Pro running Nuendo Live was also added to the Dante network to make a multitrack recording. Manning the CL5 was Luís del Toro, who’s work with flamenco guitarist Diego El Cigala won a Grammy in 2011. "One of the things I liked best about the CL5 is the way it integrates with the R-series i/o units which sound great, really clean and transparent,” he says. “Sharing the i/o units with the CL1 on monitors ensured that both the audience and musicians had the optimum sound, which is so important at such acoustic, sonically delicate events like this. “It was also really important for the playback of the national anthems of Spain and Japan to be perfect, which the internal USB player of the CL5 ensured happened. The whole system easily satisfied the very high demands of the event. I absolutely recommend the Yamaha CL series."